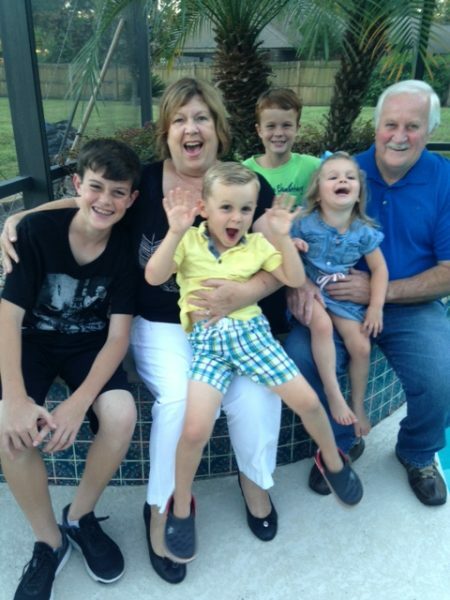 Jack and Gail have four young grandchildren ranging in age from three to 13. When their oldest two grandsons were in need of a place to stay, they moved them in for nearly two years. 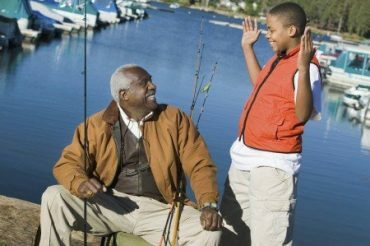 Grandma and grandpa became second parents to them, making sure that homework was done and order was maintained in their lives. When their four-year-old grandson needed a ride to preschool two days a week as his parents worked, grandpa quickly volunteered and installed a car seat in his truck. They never hesitate to babysit or to tutor the kids whenever asked. Whether Jake (13) needs help with Algebra 1 or Haley (3) needs help with her ABCs, grandma and pawpaw work with them tirelessly until they understand it perfectly. Every single Saturday and many weeknights are spent at the kids’ games. 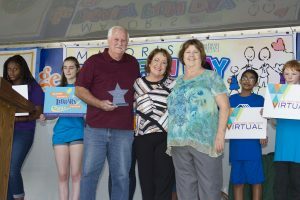 Through health problems and medical concerns, grandma and pawpaw remain constant loving figures in their grandkids’ lives. 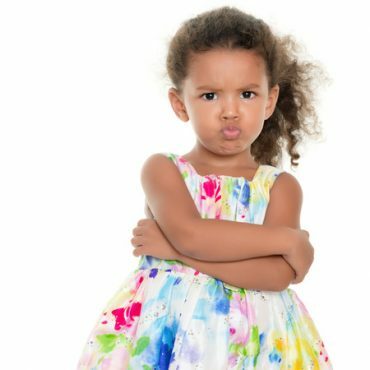 The grandchildren would truly not be the same without them! 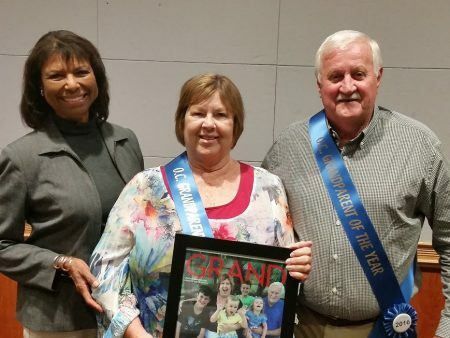 GRAND Magazine’s Event Director, Marsha Reece (left) presenting the cover award to Jack and Gail Davis- winners of the 2016 Orange Country GRANDparents of the Year. 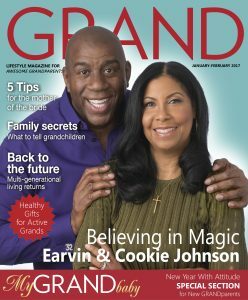 GRAND Magazine is proud to work with Orange County’s Week of the Family in recognizing the important role that grandparents play in families and communities. 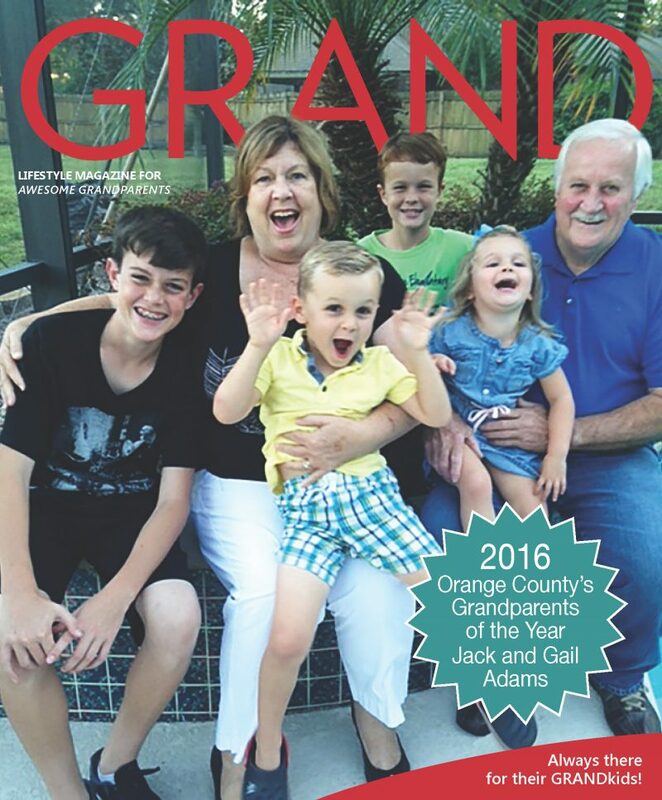 The Orange County Week of the Family theme for 2016 FAMILY: A Team Effort! 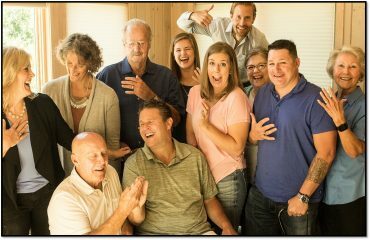 Just like individual players on a team, family members have their own unique skills, personalities, and positions/roles. Strong families and teams both work together towards a common goal. You can’t play team sports successfully as an individual. We need our families to help us through good and bad times. Just as teams learn from practices and games, families learn as they help each other through life and give opportunities to learn and grow. During Week of the Family, Orange County residents found activities and opportunities to spend time together and build stronger teams. This year, they partnered with JustServe.org to help families find service opportunities. A special thank you goes to all of our sponsors! A SPECIAL GIFT FOR WEEK OF THE FAMILY SUPPORTERS AND SPONSORS AND THEIR FAMILIES!